The Royal Geelong Yacht Club has opened online entries for the 2015 International 14 World Championships, which are to be held from 3rd to 17th January 2015 in Geelong, Australia. The 2015 event will mark only the third time that Australia has hosted this exciting World Championships, with the previous event being run at the Manly Skiff Club. However, the Royal Geelong Yacht Club is no stranger to World Championships, earlier this year successfully hosting the 2014 Melges 24 World Championship, which was hailed by the competitors as one of the best ever held. World Championship Event Chairman and Royal Geelong Yacht Club Vice Commodore, Chris Williams spoke of the event coming to Geelong, “The Royal Geelong Yacht Club is proud to be welcoming the i14 class back to Victoria, where I am sure that our members and volunteers will ensure that competitors and their families enjoy a fantastic regatta and holiday in the Geelong region. Even prior to entries opening the scuttlebutt received from competitors, was that many of the top International teams from the UK and North America are slated to be attending. 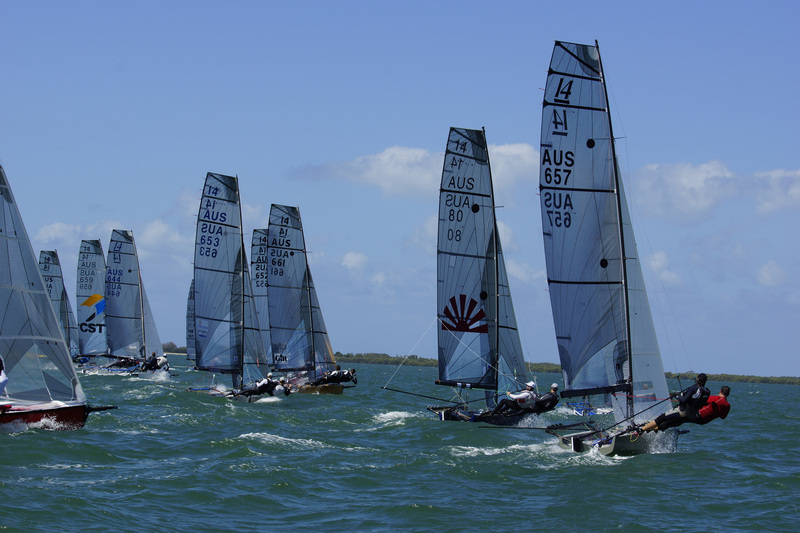 The active Victorian i14 fleet is gearing up for a home world championship, by holding their State Championships as a test event at the host venue earlier in the year. “Geelong is a great place to visit and the sailing conditions are perfect for our boats. We are expecting some really close racing on the water and a packed social program for everyone off the water. There is a high level of excitement and commitment from the Australian i14 community and we are expecting to see a flood of early entries from keen locals and many high profile internationals,” said President of the Victorian Fourteen Foot Sailing Council and Event Organising Committee Member, Matt Balmer. Standard Entries will be received by online application until 1700 (EDST) 14th November 2014. Late entries may be accepted after this time with a late entry administration fee of $AUD100 applying, until the close of entries at 2400 (EDST) 12th December 2014.